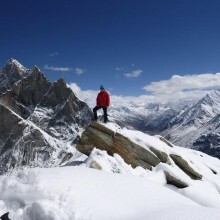 I was so excited about the prospect of climbing some peaks in the Indian Himalaya and visiting a new place. 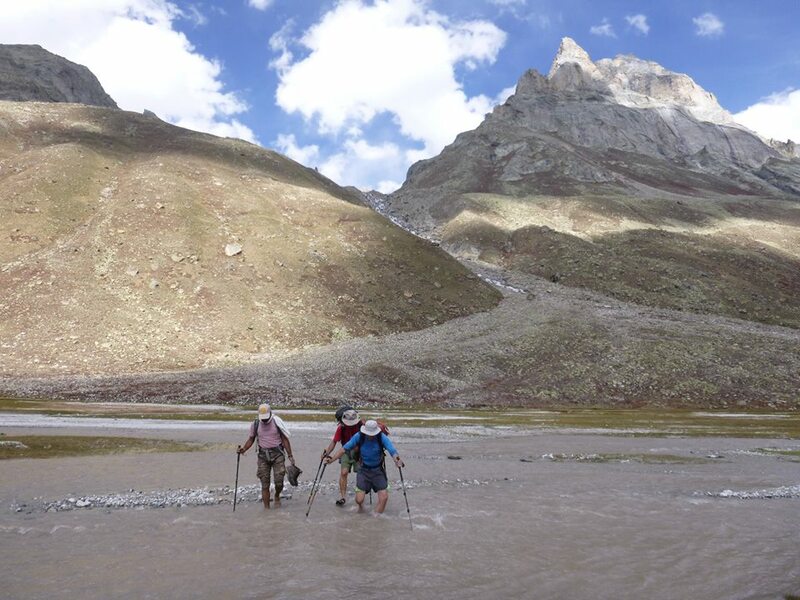 After three days of travelling we ended up in Udapur and started trekking towards the Miyar Glacier. A beautiful valley surrounded by peaks with few names. 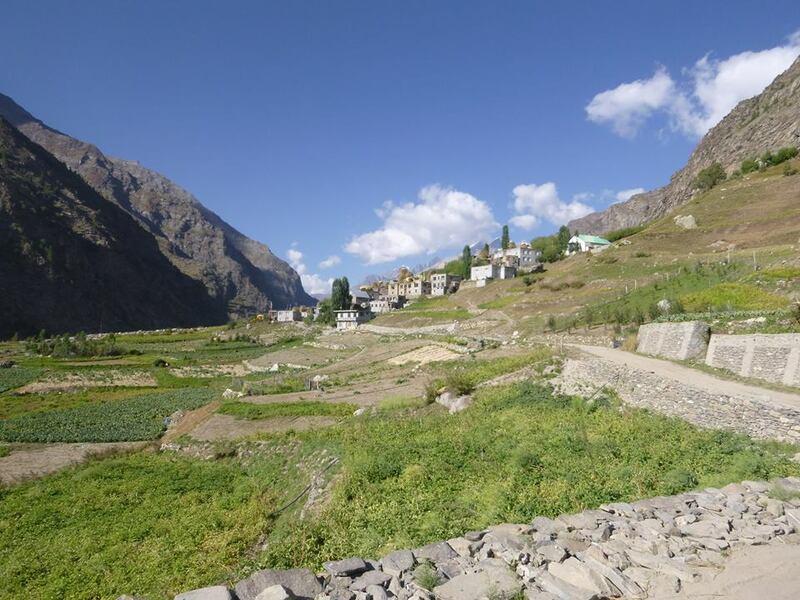 With the mules able to go no further we set our base camp at 3800m about 25km away from our objective. 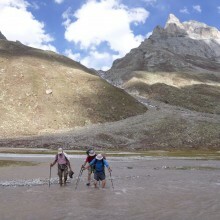 After a reccee onto the moraine we realised it was going to be tough load carrying. 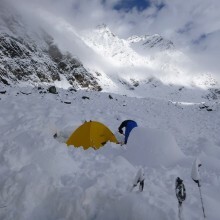 Our three Sherpas reported rock fall and the leader and myself went to investigate. 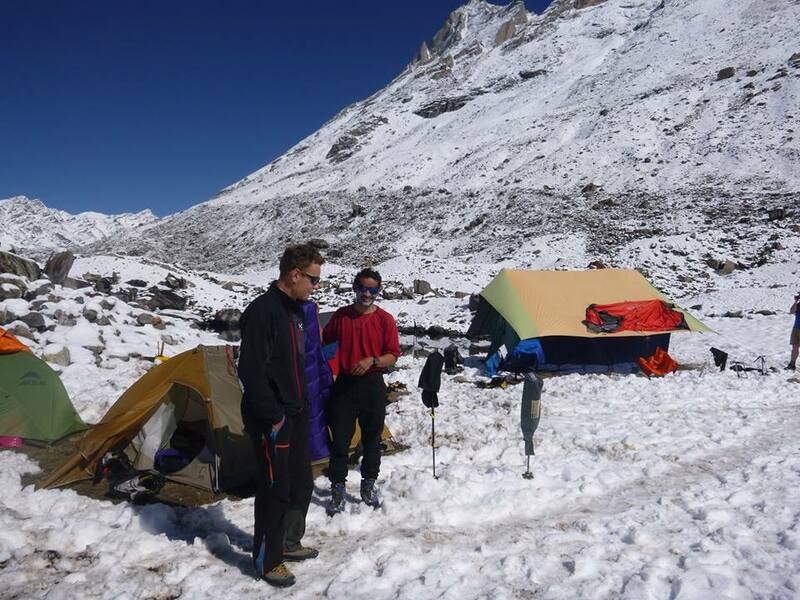 Deciding the route was safe we moved up to intermediate camp a further 8km up the glacier at 4300m. 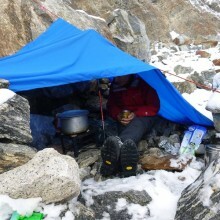 It took most of us 7 to 8 hours to haul our 20kg rucksacks to camp.The following morning some went to fetch a cash of equipment left by the Sherpas and I struggled to cook porridge on a the Kerosene stove ( I am sure there there would be a knack to working this Indian stove but I had not mastered it). Eventually after an hour or so the team were fed. 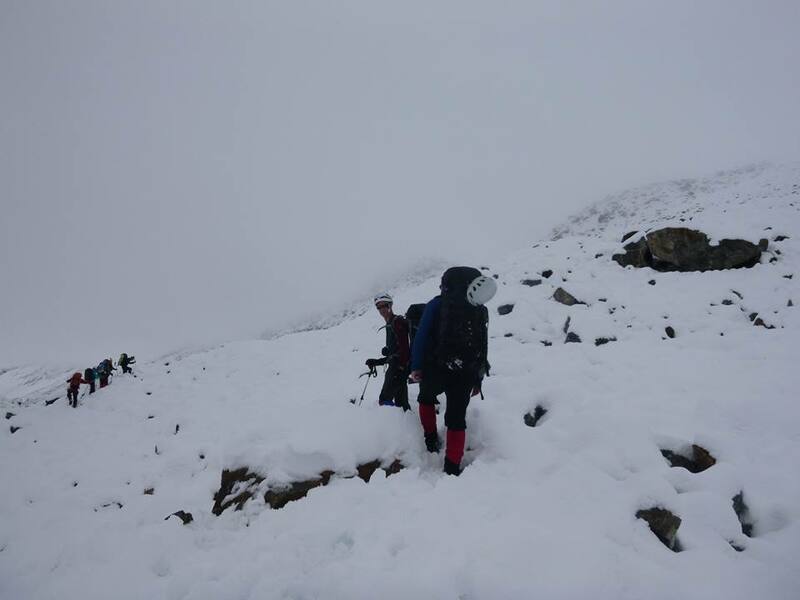 The next day the team walked a further 8km up the glacier to get views. 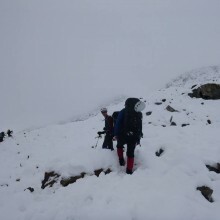 Excited about moving up the glacier the forecast did not look promising but we held in there. As expected the snow arrived……lots of it….. 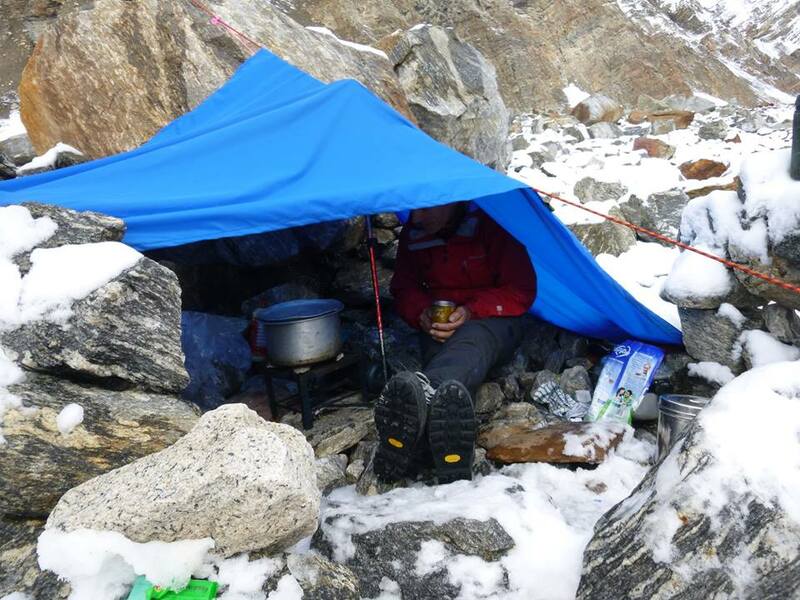 Even the Sherpas struggled with the stove and rice and Dhal which was shoved through the tent doors for us to consume. Usual protocol was established and at midnight we got dressed to dig to ensure we would not be buried in our tents. 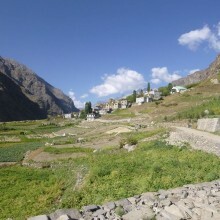 The whole valley was transformed and we descended back to base camp. 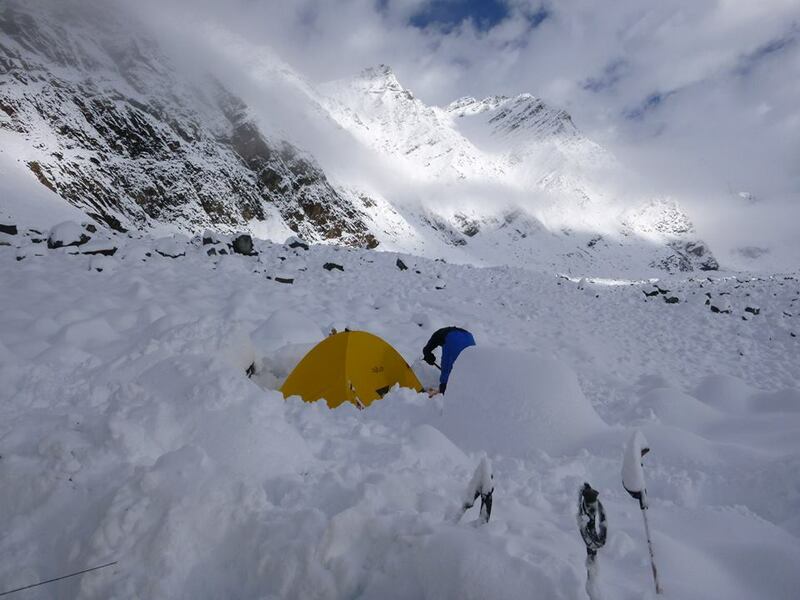 As you can imagine the mood was low especially as some of the tents at base camp had succumbed to damage by the snow. 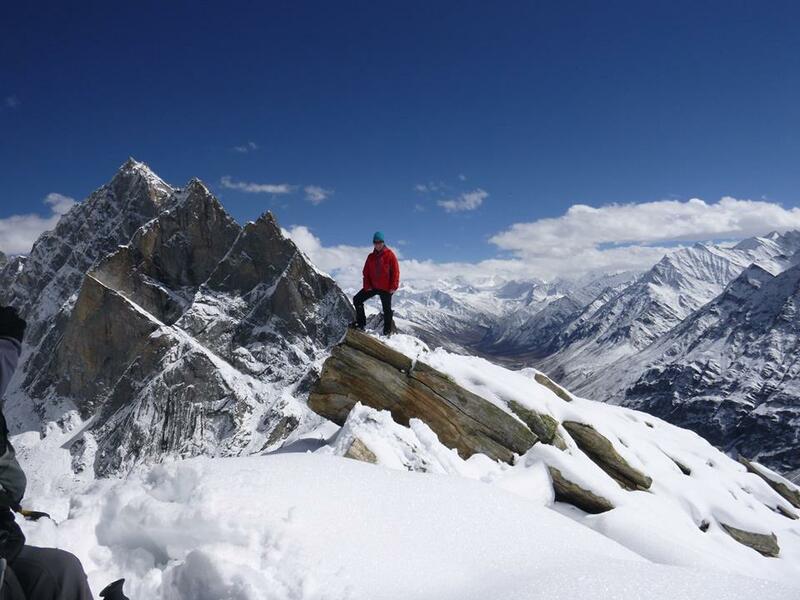 A day out climbing a small peak (well nearly 5000m) close to camp raised spirits for a while. 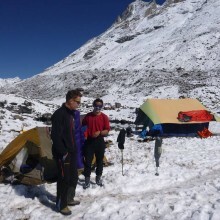 The next day it was time for me to leave base camp with one of the members who was suffering with severe sciatica and another member who offered to help load carry. Bumping into some friends on the way down and sharing their glamping mess tent was a relief. We were then looked after so well by Sarita and Nhorbu in Sukkto whilst we waited for the rest of the team. Another two days of bumpy roads saw us back in Dheli. Yep a disappointing trip as far as mountaineering achievements but a humbling one meeting so many lovely people and being away with a great team of folk. I would definitely go back.